If it’s merchandise events you’re looking for, there are quite a few treats planned for the month of October at the Walt Disney World Resort. The month kicks off at the Art of Disney in the Downtown Disney Marketplace where fans can meet Disney inspired artist Greg McCullough from October 2-6. The last couple days of this meet-and-greet-event coincides with the Chalk Art Festival at Downtown Disney (which is happening October 4-6). Greg will also be at the Art of Disney in Epcot on October 23-26, and at the Main Street Cinema in the Magic Kingdom from October 30-November 3. Disney Design Group Artist Susan Foy will be at Disney Pin Traders on October 3 celebrating the release of the latest pin from the Good Luck/Bad Luck series. The latest pin features Jack Skellington from Tim Burton’s The Nightmare Before Christmas. Also on October 3, Dave Bossert the author of Remembering Roy E. Disney will be at the Art of Disney in Downtown Disney Marketplace. He will be joined by special guest Roy P. Disney for the special appearance and book signing. The book will be available for purchase at the Art of Disney when the store opens. A limited number of wristbands for the meet-and-greet will be distributed to guests who make a purchase at the store on the day of the event. Once the wristbands are gone the line to meet Dave and Roy will close. Fans of David E. Doss can stop by the Art of Disney in the Downtown Disney Marketplace from October 7-23 to meet the artist and see some of the newest pieces from his collection. From October 11-13, artist Michelle St. Laurent is showcasing a collection of “Food & Wine” inspired art from her Disney Fine Art collection. This display is happening at the Art of Disney in Epcot from 3-10 p.m. during the Epcot International Food & Wine Festival. Tim Rogerson will be showcasing his “Food & Wine” inspired artwork at the Food and Wine Festival from 1-10 p.m. on October 25 and 27 at the Art of Disney in Epcot. Collectors of the Precious Moments dolls can stop by Once Upon a Toy at the Downtown Disney Marketplace from October 17 until November 4 and check out the release of new Halloween-inspired dolls. Precious Moments dollmaker Linda Rick will be on hand October 17-20 to meet fans. October 22 marks the Disney Trading Night at the ESPN Wide World of Sports Complex. 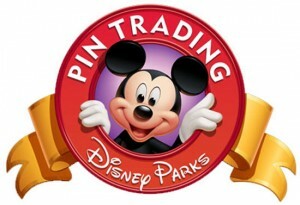 This pin trading event is for avid and novice traders and takes place in the ESPN Wide World of Sports Grill Restaurant area, adjacent to the lobby. Space for this event is limited, so traders are asked to limit the number of items they bring.